Learn New Things: What is “System Volume Information” Folder Should We Delete It? What is “System Volume Information” Folder Should We Delete It? 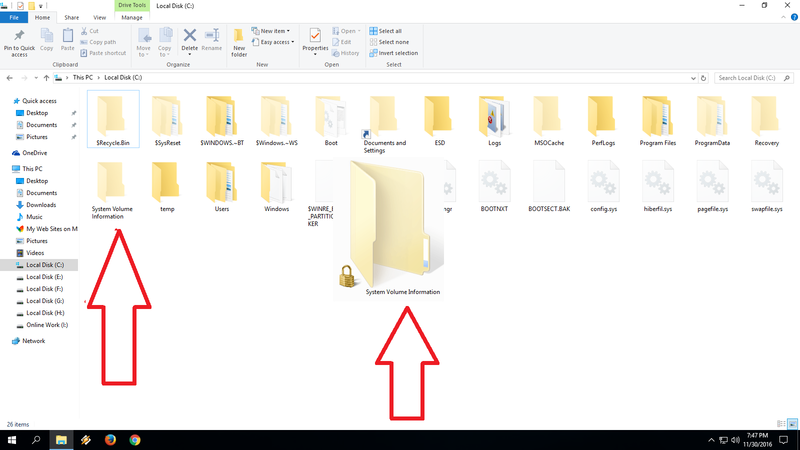 You will find “System Volume Information” folder on every drive even in external USB drives, this is a hidden folder it will appear when you choose “Show hidden files, folder and drives, but what this is for? The main reason is Windows create System Restore points in the System Volume Information folder. So now the main point, can we delete this folder? In my point of view NO.. You shouldn’t delete this folder because it might be create problems in future, but if you think it taking lot of space, than reduce the space of system restore….